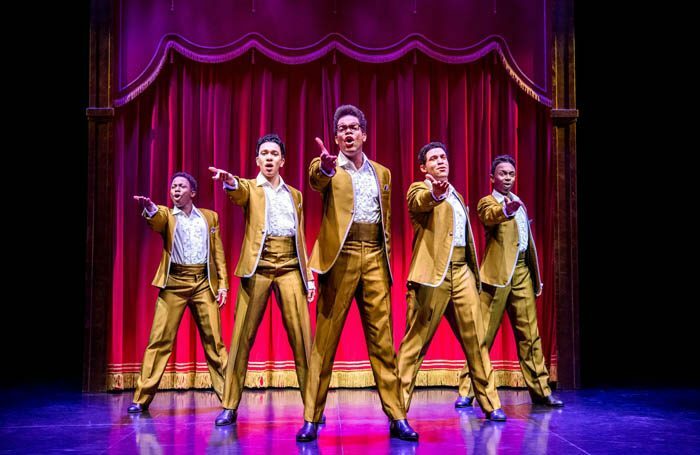 Motown the Musical has announced a UK and Ireland tour. Beginning at Birmingham’s New Alexandra Theatre on October 11, 2018, the tour will visit Leeds, Edinburgh, Bristol, Dublin and Manchester. Its final stop will be the Wales Millennium Centre, Cardiff, where it will stay until April 6, 2019. Further dates and casting are yet to be announced. Charles Randolph-Wright’s production of the jukebox musical will also continue to play at London’s Shaftesbury Theatre, where it has been running for two years. It features hits from Diana Ross, Michael Jackson and Stevie Wonder. Motown the Musical is produced by Kevin McCollum, Doug Morris, Adam Spiegel and Berry Gordy. The touring production will be choreographed by Patricia Wilcox and Warren Adams. Set design is by David Korins and costume is by Emilio Sosa.